Our Passion Gift Tower is the perfect way to enjoy our Apricots, Figs and Fruit Squares-perfect for the fruit lover! 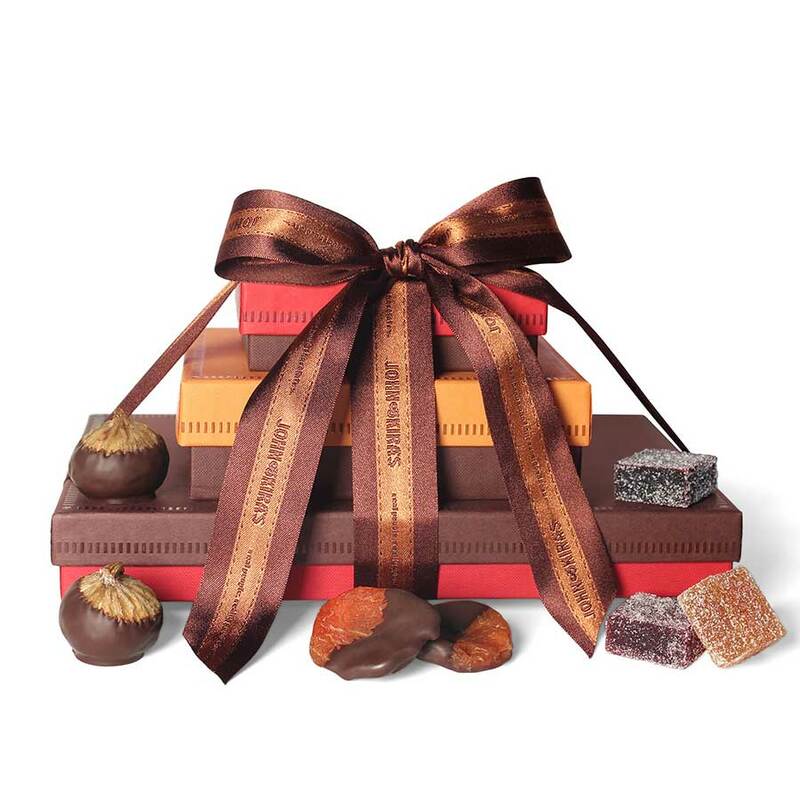 Enjoy 6 exquisite dried Blenheim Apricots dipped in Valrhona 62% dark chocolate. These chocolate figs are as good as they get. 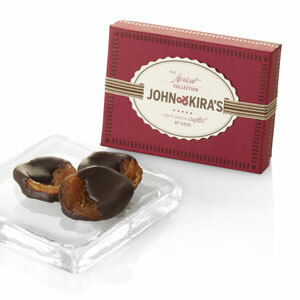 We import tender, organic dried Calabacita figs from a small family farm in Spain then fill them ourselves with a silky smooth, whiskey infused Valrhona dark chocolate ganache. 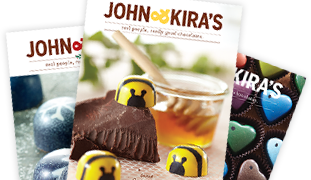 They are then hand-dipped in 62% dark chocolate. 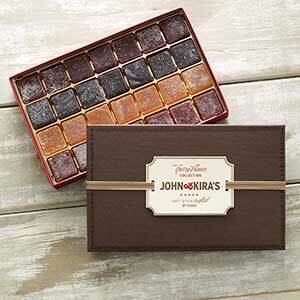 The 28-piece fruit square assortment highlights strawberries, raspberries, blackberries and apricots. To make them, we heat pure fruit puree to a high temperature, mix in sugar and pectin in small amounts, then slowly cook the mixture until it arrives at just the right consistency. The puree is then poured into a square frame, allowed to cool, then cut into one and a quarter inch squares. 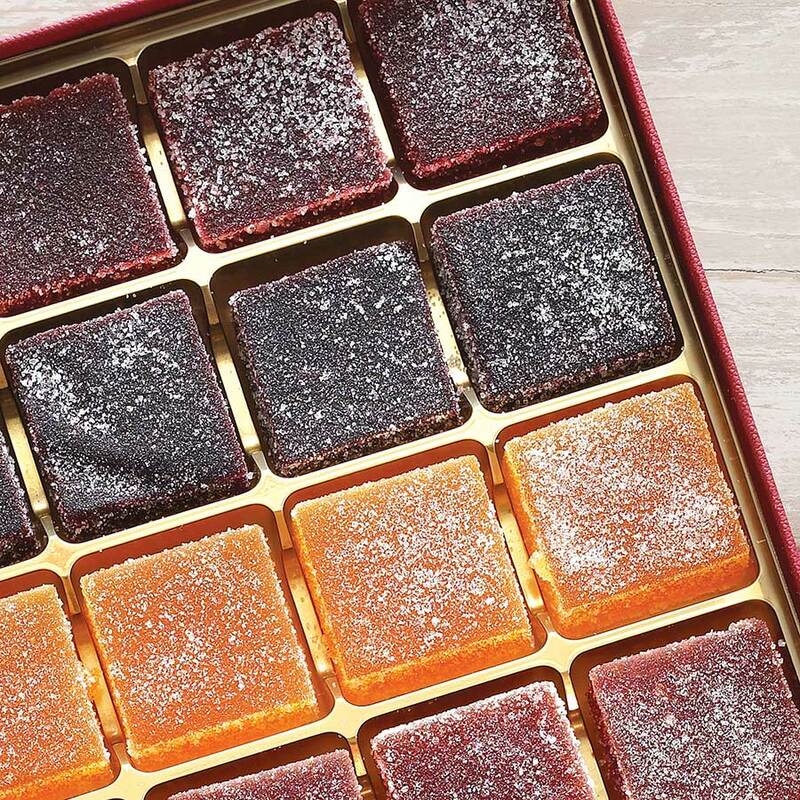 Finally, the cut squares are tossed in organic sugar three separate times over a period of two days. Contains: milk, gluten, soy, fruit puree (raspberry, strawberry, blackberry, and apricot), sugar, glucose, citric acid, and pectin.